TREPKO the PMMI member ! 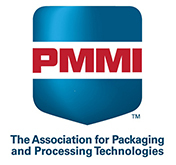 In November 2017, TREPKO became a member of The Association for Packaging and Processing Technologies (PMMI). Make money from day one! We invite you to see the sights of Trepko Poland. We've prepared a virtual tour of Trepko's domicile, which gives you an oportunity to discover our company in Gniezno. This summer brings a number of personnel changes within Trepko Sp. z o.o. which is located in Gniezno, Poland. Trepko Sp. z o.o. is part of the Danish company, Trepko A/S, the leading manufacturer of filling and packaging machinery in the world.